Today’s guest blogger is Gordon Suggs , the Assistant Director for Application Services at Xavier University, one of the oldest co-educational Jesuit and Catholic universities, located in Norwood, an enclave of Cincinnati, Ohio, United States. This article is based on his presentation at the recent Echo360 Active Learning Conference held at the University of Cincinnati, during which he described many innovative ways Xavier uses Echo360. As a rule, we don’t have large lecture classes at Xavier University. At least half of our classes have 20 students or less. While the challenge of student engagement in large lecture halls doesn’t typically apply to us, we’re always looking for ways to provide additional feedback and collaborative learning opportunities for our students to further personalize their learning experience. With Echo360, we are discovering innovative ways to better use video, live streaming, social learning and analytics in our smaller classrooms to improve student outcomes. In Xavier’s doctoral program in psychology, our faculty and students have the ability to record classroom lectures, develop original video content, and provide feedback to students in both classroom and clinical settings through the Echo360 solution. For example, students in the program are required to administer a wide range of standardized tests, such as intelligence tests or other clinical or diagnostic tests. Previously, students were recorded on video tape, but now, we use Echo360 to record these exercises, which allows teaching assistants and faculty members to view the video and provide direct feedback to the students. The department also manages a clinic where student therapists gain critical work experience in clinical settings by providing counseling and therapy to patients. These sessions are recorded using Echo360 and faculty members, paired with the student therapist, provide detailed feedback on each session to gain insight into areas they can improve. Many of the therapy rooms are configured in such a way so that instructors are able to see the facial expressions and reactions from both the student therapist and the patient. The student therapist logs in and turns on Echo360 personal capture. Faculty members view the recorded sessions and use the note-taking features - including the confusion button feature - within Echo360 to bookmark specific points during the therapy session. Faculty provide precise feedback to the student within the context of a real-world therapy session. Maintaining privacy is also an important consideration, as these sessions must comply with HIPAA guidelines and regulation. But, with Echo360’s point-to-point encryption and the fact that the video always remains within the system (e.g. the student never has the video on a USB drive)–we uphold compliance with applicable regulations and ensure student privacy and security. 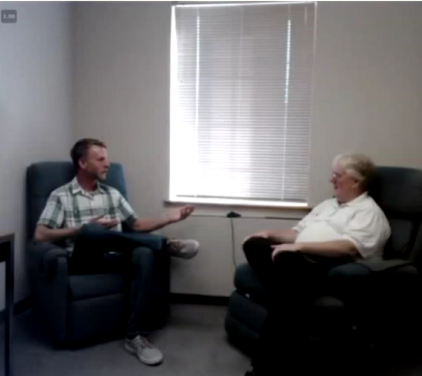 The recorded therapy sessions provide an additional benefit for our students. When they take their state board exams in their final year of the program, they are required to submit proof that they have performed clinical work. The videos help to document this and aid the student in the board certification process. Other departments on campus also use video and collaborative learning in similar ways. 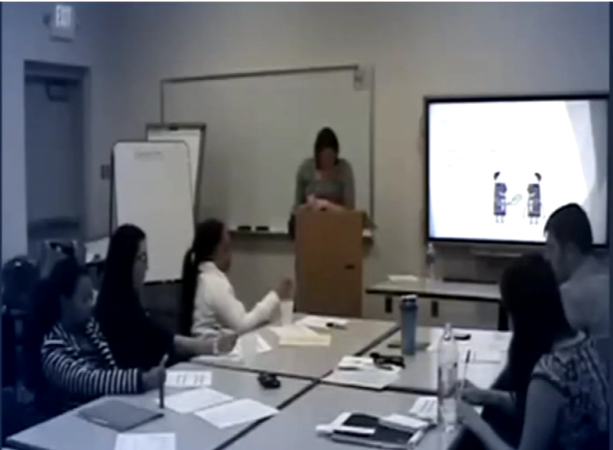 For example, our Communications and Human Resources Development programs use Echo360 to record student presentations. Other students can view the presentations, comment and provide feedback to the presenter, further facilitating peer-to-peer learning. In addition to providing real-time feedback and peer to peer learning, we are just beginning to record and stream live campus events to reach a broader audience, including off-campus or distance learners. We have installed cameras and Echo360 capture appliances in our on-campus auditorium. We can schedule a recording without a significant amount of IT intervention and extra effort. Now, any group using the auditorium can record or live-stream their event through the Echo360 platform, further increasing the reach and access of on-campus events. In the future, we plan to place more of our classes online. Recorded video and the ability for students to easily access their course material remotely is critical to the success of this initiative. Programs such as our Executive MBA program also see the benefit of recording class sessions. This helps students, particularly those working full-time, to maintain their studies even when their work schedule conflicts with the classroom schedule. Gordon Suggs is Assistant Director of Application Services at Xavier University. He has over 25 years of experience in IT within higher education in a variety of roles at both Xavier University (1996 – present) and Cornell University (1985 – 1995). Gordon was part of the team that brought Echo360 to Xavier in 2013 and continues to coordinate technical support for Echo360.